Protect your goods, buildings and employees by significantly delaying the spread of fire call A&A now on 01626 259425. Fire Rated Shutters are an increasingly popular option and offer fire protection at up to four hours greater than would be the case for a standard non-fire rated door or shutter. They can be used to section off and protect a particular part of a building, the whole building, or even provide protection between floors (horizontal fire shutters). 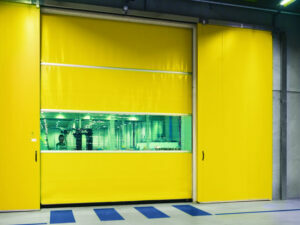 Of course, it is important to protect your business with security roller shutters for many warehouses, logistical units and industrial partitioning with fireproof shutters brings an extra level of security and fire risk reduction.